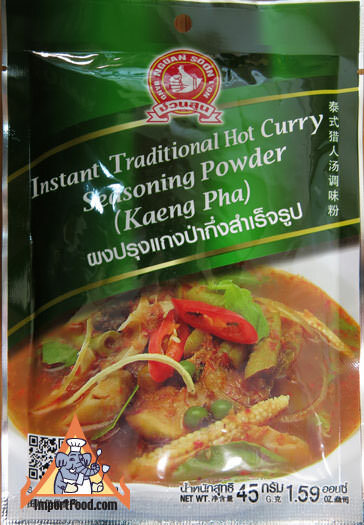 This Jungle Curry from Hand Brand is extremely spicy, sparing nothing to bring you the most authentic Thai heat that Thai locals expect when they order "Kaeng Pa"--what the native jungle people are known to enjoy. Served with cold beer it's very refreshing and will bring a sweat to your face, but also it's all natural and very good with your choice of vegetables. 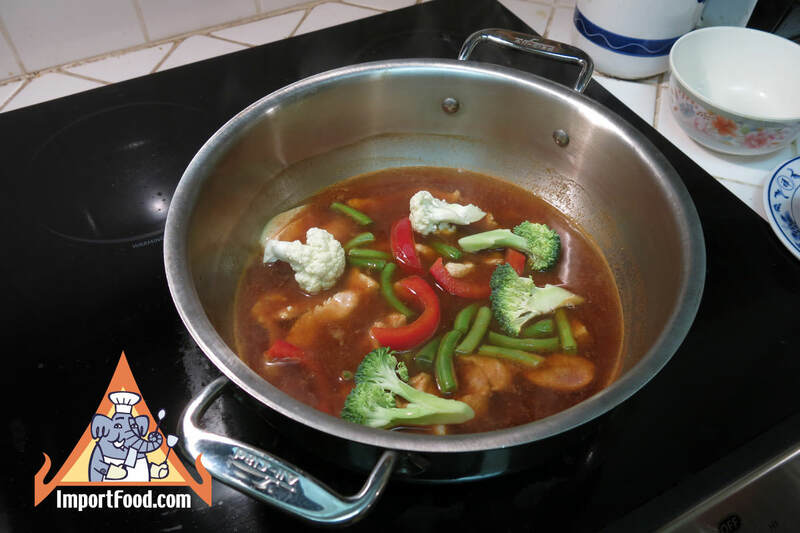 We prepared it at home in just a few minutes with fresh broccoli, cauliflower, green beans, chicken and red bell peppers. 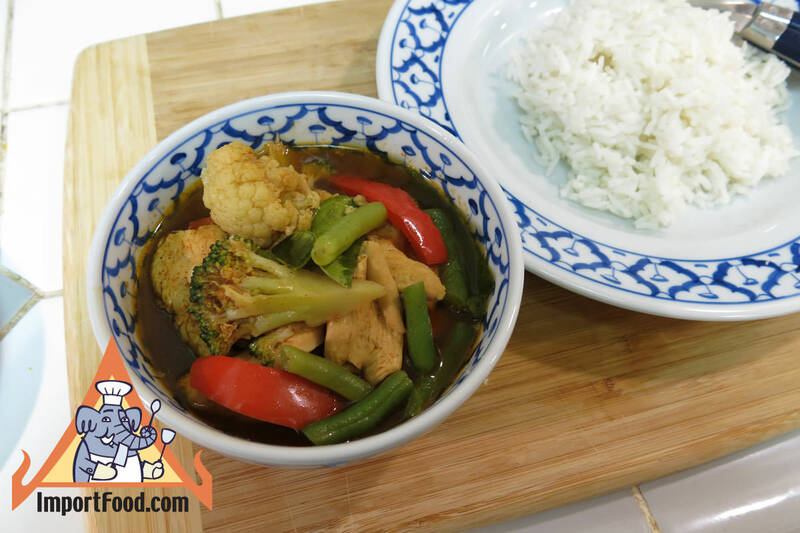 Serve with a bowl of steamed jasmine rice. 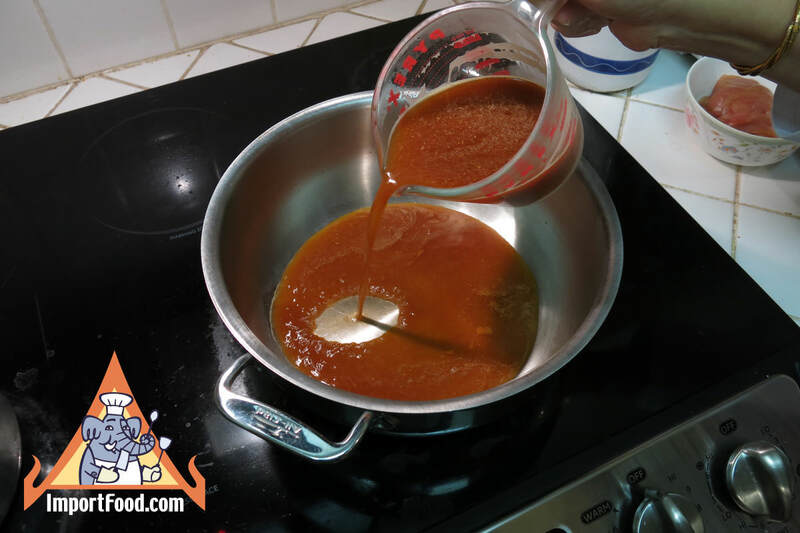 To make it, just mix the spice packet with 2 1/2 cups water, boil over medium heat, add meat and vegetables and simmer for a few minutes until done. Top with sliced kaffir lime leaves and fresh local basil. Delicious! Ingredients: soy sauce powder, sugar, chile, salt, fish sauce, powder, galangal, garlic, kaffir lime leaves, shrimp paste, shallot, lemongrass. Product of Thailand.